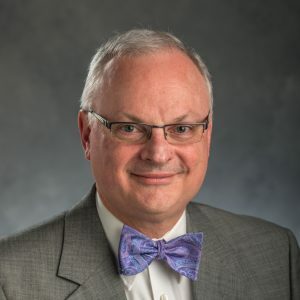 Dr. Barry is a professor in the Department of Family Medicine and is also senior associate dean for Faculty Affairs and Development for the College of Human Medicine. Dr. Barry received his medical degree from the University of Maryland (1982), served his residency at St. Lawrence Hospital in Lansing, Michigan, and is board certified in Family Medicine. 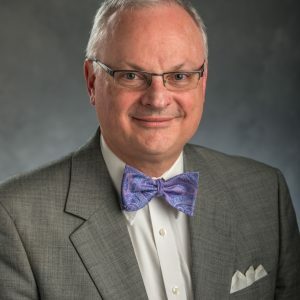 Before joining the faculty at the College of Human Medicine, he served his National Health Service Corps commitment at the Cabin Creek Health Center in Dawes, West Virginia from 1985 to 1989. In 1995, Dr. Barry completed a master’s degree in clinical research design and statistical analysis at the University of Michigan School of Public Health. Dr. Barry’s interests include information use in clinical settings, evidence-based medicine, and clinical decision making. Dr. Barry sees patients at the Family Health Center.